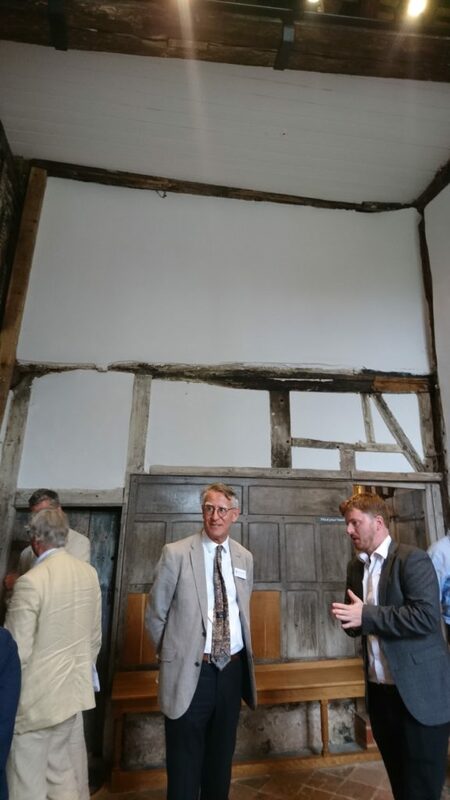 The 94th Annual General Meeting of the Ancient Monuments Society took place at Headstone Manor & Museum, Harrow, on Tuesday 10th July 2018. A group of members began the day with a visit to the Heath Robinson Museum in Pinner, where Cynthia Wells from the Pinner Association (est. 1932) gave a fascinating talk on the history of West House, bought with its grounds by the people of Pinner as a WWII memorial and held in trust by the Council, but sadly closed in the 1990s and very nearly lost. It was saved by the Pinner Association and reopened for community use in 2010, partly due to their unique partnership with the archive of a local artist and illustrator: William Heath Robinson. 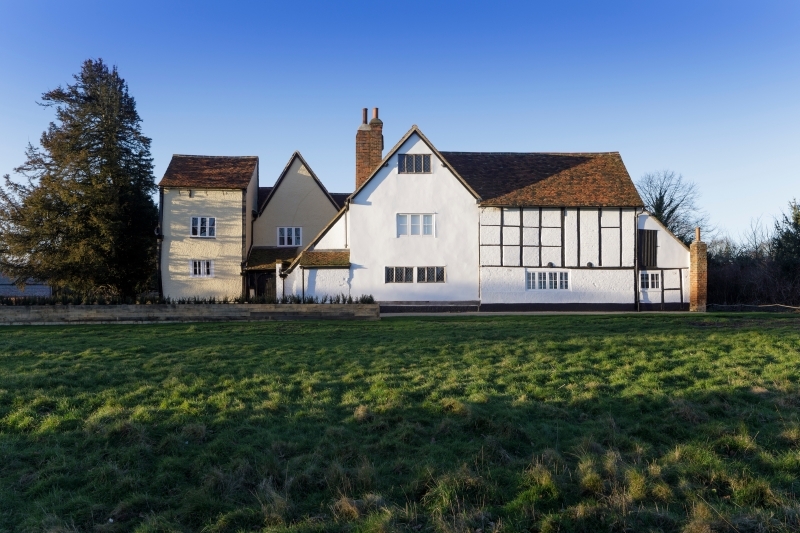 A grant of £1.3m was then secured from the Heritage Lottery Fund for the building of a new museum, which is home to the largest archive of Heath Robinson’s works to be found anywhere. 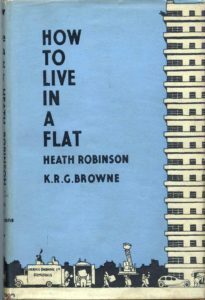 His name may be a byword for crazy contraptions, but we found he was no builder of gadgets, but an artist: his career spanned watercolour illustrations of Kipling, satirical WWI cartoons, and collaborations on books: How To Live In a Flat (1936) gently mocked the new high rise living. The AGM itself took place at Headstone Manor & Museum, a medieval moated manor house owned by Harrow Council. Tucked in the suburbs of Harrow, within sight of the old Kodak factory, and in the midst of some gems of 1930s residential architecture it is listed at Grade I and is the oldest surviving timber-framed building (and the only filled moat) in Middlesex. The moated site is a Scheduled Ancient Monument. Begun in 1310, remnants date from C15 with the greater part from C16-17 and a C18 brick frontage. 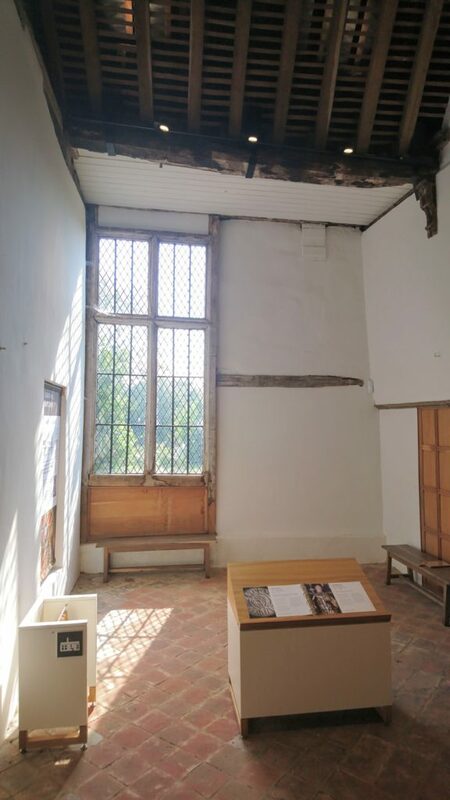 Belonging to the Archbishops of Canterbury in the Middle Ages, it was sold to Lord North by King Henry VIII and survived as a farm until 1925 when it was taken on by the District Council. It became Harrow Museum in 1986 and reopened in December 2017 after a huge HLF conservation project by Buttress Architects. The meeting began in the Great Barn at 2pm and was chaired by the Society’s President, The Rt. Hon. The Lord Inglewood DL. We had a tremendous turnout with around 80 members attending, and were lucky to have a slightly cooler day than the rest of the month – a mere 23 degrees! AMS Director Lucie Carayon welcomed members and guests to her first AGM in post, and reviewed the Society’s activities, including our strategic priorities: Advice, Advocacy, Education, Partnerships and Governance. We were lucky to have Grant Prescott of Buttress Architects speaking about his experience of conserving the house, barn and wider site. Guests enjoyed tea in the barn and a self-guided visit of the manor house, unexpectedly enriched by the presence of several members who had seen and worked on the house when it was in a more dilapidated state in years gone by – especially David and Barbara Martin, who surveyed the manor in the 1990s and recalled a visit in deep snow. We would like to thank Grant Prescott for an interesting talk, the events staff at Headstone Manor and all who attended and made the event such a success.